In celebration of Capital Bikeshare coming to Towers Crescent, we’re handing out a free annual membership to the employee that proves they want it the most! 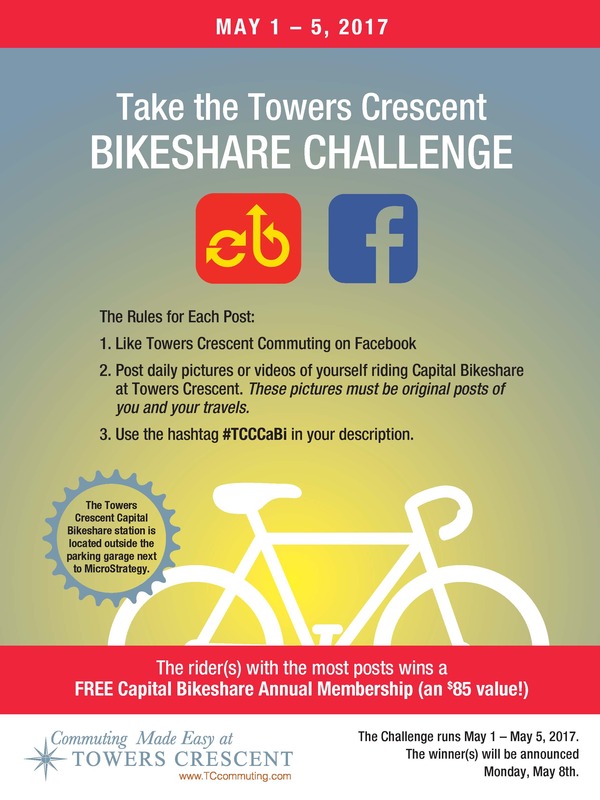 All you have to do is post pictures of you riding Capital Bikeshare next week to our Facebook page, and the highest poster will go on to ride the rest of the year for free. With Capital Bikeshare available at the Tysons Corner and Springhill Road Metro stations, getting to work has never been more accessible – or fun! Questions? Email us at info@tccommuting.com to find the most convenient Bikeshare stop for you!